When I was much younger than I am today, I had the wonderful opportunity to live in Germany. At the time I didn’t realize how lucky was. I mean how many times can you bee dragged down to the Rhine river and look at castles. At least that is what I thought at the time. When I look back on it now I can’t imagine that I felt that way. As I said I got to see a great many wonderful things. Among those was the Cathedral in Koln. As a child I only saw it once. I have since been back there and seen it again, but it did not change the way that I saw it. You know that feeling when you see something big as a child and then see it again when you are older and it does not look so big? That was not the case with this Cathedral, if anything it looked bigger and more impressive to me. And made me feel smaller. 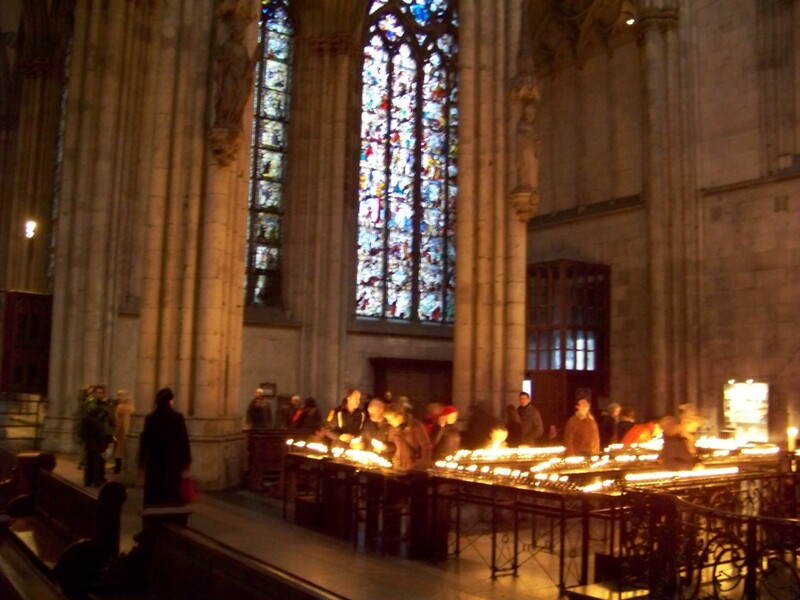 Since the Lutheran Movement took hold in Germany, many of the large Cathedrals are not Catholic, this does not by any mean lessen their impressiveness, But it does change the way I see them. 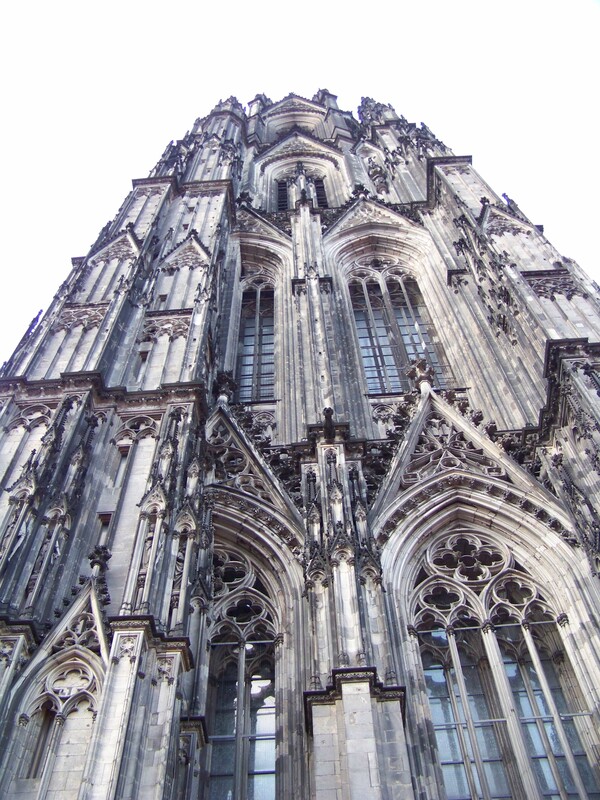 the Koln Cathedral is one of the largest in the world. 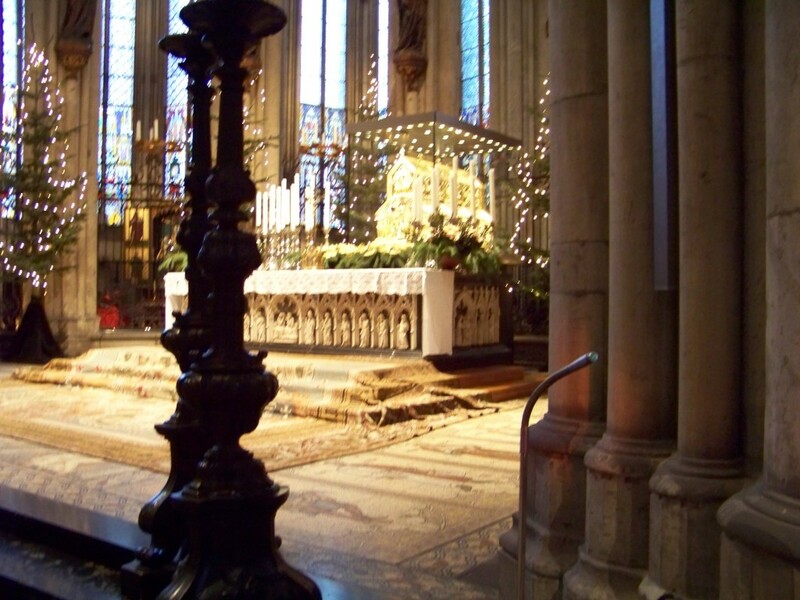 It is also the seat of the Catholic Church in Germany. And as I said very impressive. Beyond being impressive for it’s size, it is impressive for something else. In that gold case in the center of the Altar are the relics of the three Magi. I know the pictures are terrible, the camera I was using was old, and always managed to focus on the wrong things. Oh well. The point is that they are here, and I wanted to share them with you.